I can start getting excited about the fall season! It wasn't as hot today and my weather app tells me it will stay cooler. 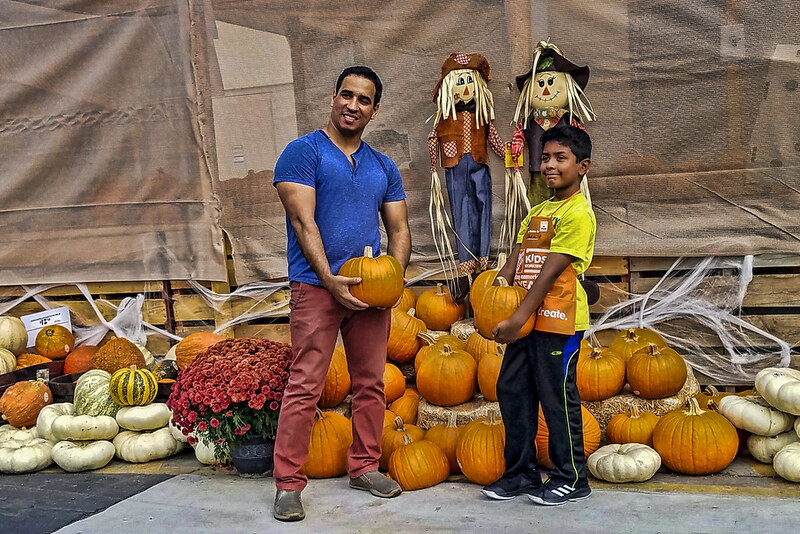 Fall means fall decorating and pumpkins—Home Depot had tons of pumpkins piled up out in front of the store and these two seemed to be having fun trying to pick out the perfect one! "October is my excuse for pumpkin everything!"